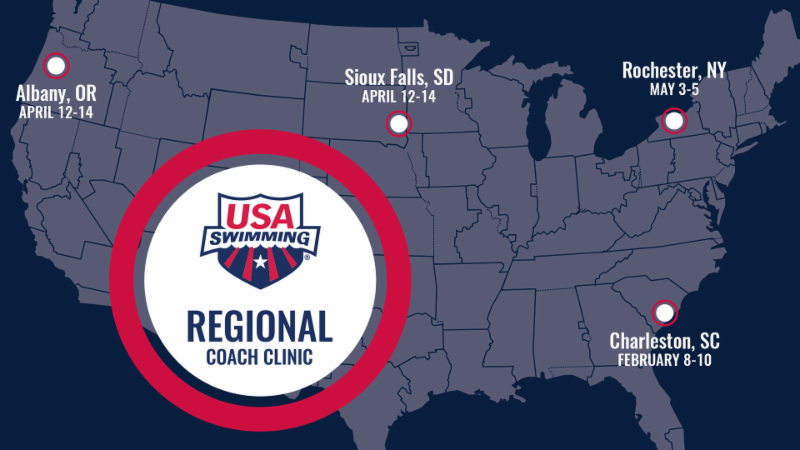 The Regional Coach Clinic program brings affordable clinics directly to teams in their own LSCs. These clinics are designed for the entire coaching staff from the novice coach to the senior level coach. The clinic cost is $75 per coach or $200 for a coaching staff of 3 or more. Our clinics are priced to encourage participation by the entire coaching staff. Our Charleston clinic is at the St. Julian Devine Community Center. Click the graphic to access the clinic schedule.